Join Atla Board President Jennifer Bartholomew along with staff from Atla and Forum One for a webinar on the new look of Atla on Wednesday, April 24 at 11 am CST. Read the Board President Letter to Atla members from the March Newsletter. Five years ago the Atla Board introduced a new vision for the association, for Atla to be the hub of worldwide scholarly communication in religion and theology. Since then, the Board has crystallized the Association’s Core Purpose and Values, updated governance documents such as the Bylaws and the Organizational Ends, and most recently, launched a refreshed visual identity. With this new brand, we are embracing the familiar and inviting the potential of the future by moving forward with Atla as a word. This shift from an acronym to a word allows us to honor what Atla has been while setting the stage for all Atla has yet to become. 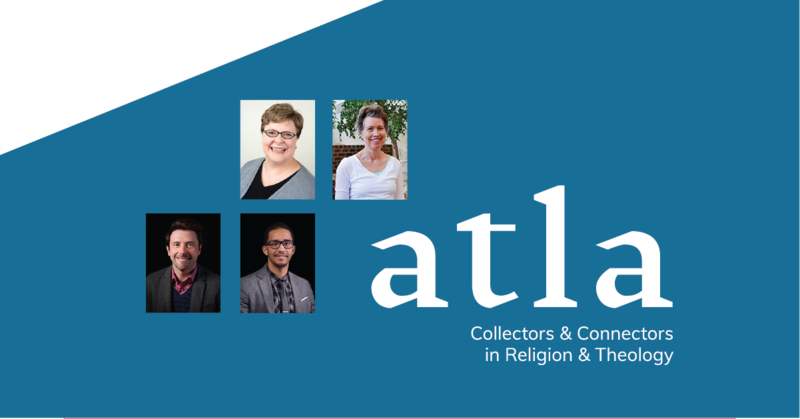 The new tagline “Collectors & Connectors in Religion & Theology” reflects the critical role that we play in the cycle of scholarly communication as a membership association of libraries and librarians and a producer of research tools. In this webinar, join current Board President Jennie Bartholomew as she shares how this new look aligns better with the work Atla does to promote worldwide scholarly communication in religion and theology by advancing the work of libraries and related information providers. Joey Tackett and Corey Jones from Forum One, the design team the board engaged, will discuss the opportunity Atla has to expand its reach by positioning its brand as truly global and inclusive. They will also provide insights into the new logo, which is based on a graphical grid system they call “the connection grid” and discuss how it reflects themes of community, collaboration, and interconnectedness of knowledge and place. Finally, Gillian Harrison Cain will give an overview of how the new visual identity and digital experience will be shared with members and the larger Atla community over the next several months.